The Crimson reports the sophomore admits he was drunk, but denies he was drugged up, and says he initially approached the "resident tutor" at his residence hall for help with his inebriation but, according to campus police, wound up beating him up instead - and tried to do the same with police officers who responded. The student tells the Crimson everything's been cleared up, although he still has to travel all the way to Medford - the current home of Cambridge District Court - to face criminal charges that include assault and battery. 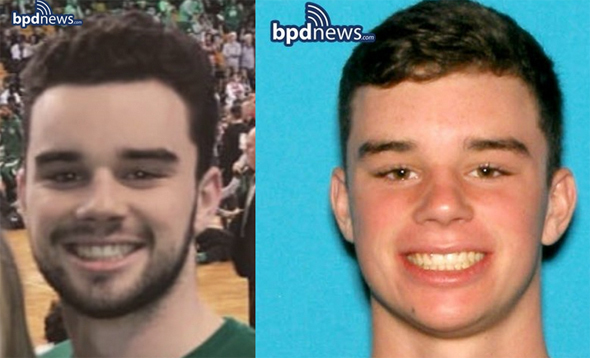 Boston Police report finding the body of Maximillian Carbone, 19, a Wenthworth student, in a wooded lot off Terrace Street near Cedar Street this morning. Read more. The Harvard Crimson reports the U has decided the dining hall at Lowell House will no longer feature a portrait of Abbott Lawrence Lowell, who banned black students from Harvard Yard residences, instituted a quota for Jews and led a purge of gay students. But actually renaming Lowell House? Nah. The owner of the Bell in Hand on Union Street told the Boston Licensing Board this morning he immediately fired three workers because of their role in a December incident in which two underage people were allowed to buy and drink vodka and Red Bull - right before a couple of BPD licensing detectives walked in for an inspection. Read more. On an unscheduled inspection of the Sidebar on Bromfield Street last month, BPD Sgt. William Gallagher asked a young-looking customer with a draft beer for his ID. The man handed over a Dutch ID showing him to be over 21. But then Gallagher flexed the card - a standard step to check whether an ID is fake, because fake IDs often have cheap laminating that separates from the paper underneath when bent. Read more. The proposed owners of a new restaurant in a Chestnut Hill Avenue spot that has been causing problems for years vow they won't repeat the mistakes of the past two places there - which included having workers drag unconscious patrons into alleys and letting under-age BC students belly up to the bar. Read more. Underage Suffolk student who knows the capital of Maine slips into Theater District club; could a jeweler's loupe have stopped her? 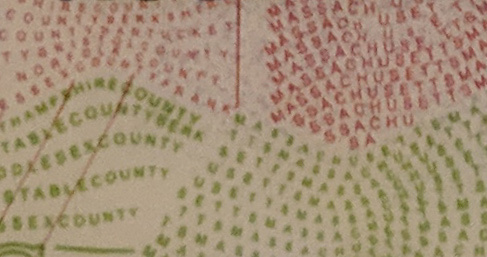 Micro-printed words on real state IDs, like this Mass. license, don't show up on fakes, at least not yet. The doorman at Bijou on Stuart Street was a bit suspicious of the young-looking woman with the Maine license trying to get into the club one October night, even though her ID checked out OK on the computerized scanner he uses. So he turned to a trick police and the more experienced door staff use to ferret out people with fraudulent IDs: He asked her the state capital. When she replied "Augusta," he let her in - because most people who get fake IDs don't expect to be quizzed on facts about the state they're allegedly from and can't answer such questions. Read more. 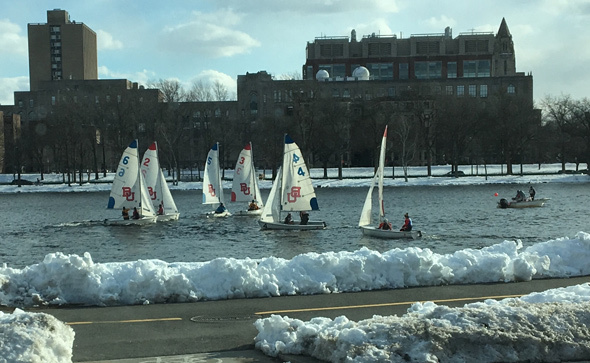 An MIT fraternity in Kenmore Square found itself hauled before the Boston Licensing Board today to face police citations for allowing underage drinking and vaping at a party in which way more people were stuffed into the building than allowed by its Boston-issued licenses. Read more. Two bars not normally associated with Boston College had to explain today how underage BC students were able to get in and consume adult beverages until the moment detectives from the BPD licensing unit asked for their IDs. Read more. Tonight was the annual half-naked run at Northeastern, and it followed its traditional route into the Back Bay. Mayor Walsh and a local philanthropic family are starting a fund to provide financial support to Boston students at certain local colleges who are nearing graduation but who might be forced to drop out because of financial hardships. Read more. The Crimson rips the lid off the story: Not all Harvard students really want to see a football game and are trying to earn some bucks by selling their Game tickets even though they're not supposed to. Prices have gone up because Fenway has assigned seats, unlike when the Game is at the Stadium. 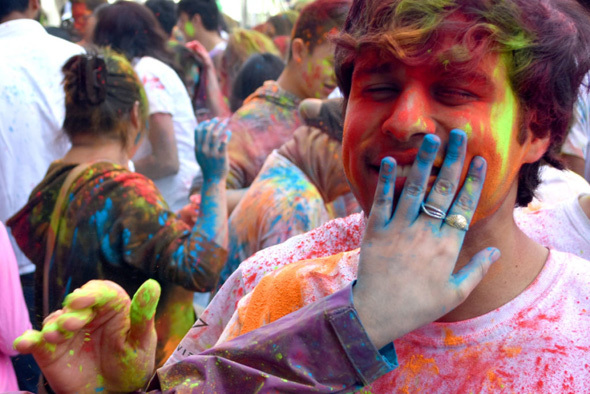 Deans have gotten involved; students are being warned they face possible disciplinary action. The Huntington News reports on a protest aimed at getting Northeastern to increase its voluntary payments in lieu of taxes. Boston has long asked non-profits to kick in 25% of what they would pay in property taxes if their property were commercial instead of non-profit. Northeastern has always been on the low side of PILOT payments, but says it more than makes up for it in other things, such as annual scholarships for Boston residents attending Northeastern - and the $100 million it put into renovating a city playground (in a statement, the university did not mention that that money also gave it rights to use the playground).